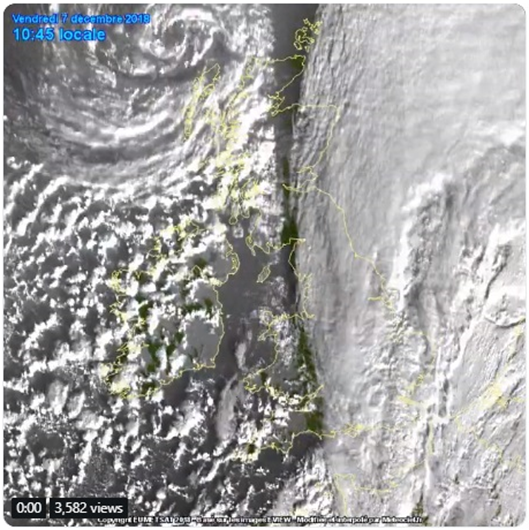 In the UK and Western Europe this extra-tropical cyclone blasted at a hundred miles per hour making landfall. Passing over Scotland and then headed eastward. A look at the cloud wall involved in this, you can see the center of the storm to the east and how thick this cloud mass is. You’re looking at least Category 1 to a borderline of Category 2 hurricane winds in this storm. 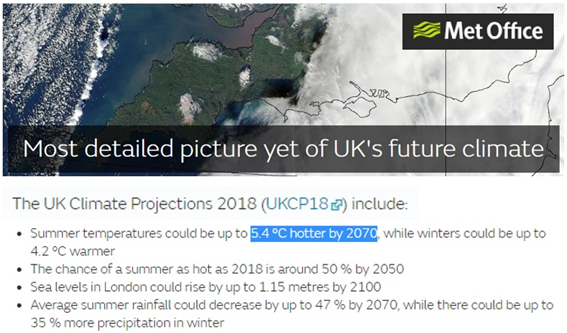 Since the center of the storm passed right over Scotland & UK, I’m going to take you to the State of the UK Climate, UK’s climate projections came out last week, and they have a couple of nice graphics here. Diving in, there are the twelve different areas they’re focusing on. 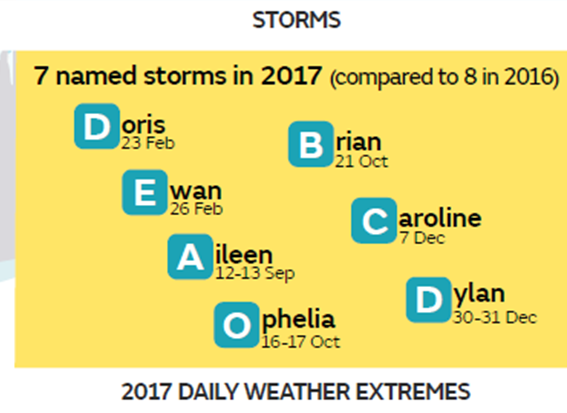 Seven named storms in 2017 (compared to eight in 2016), I guess they’ll be adding one more for 2018 numbers, which I guarantee will be blamed on Global Warming. 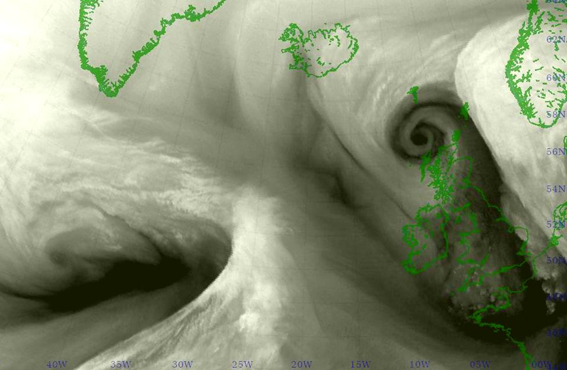 This is the most detailed pictures yet of UK’s future climate. 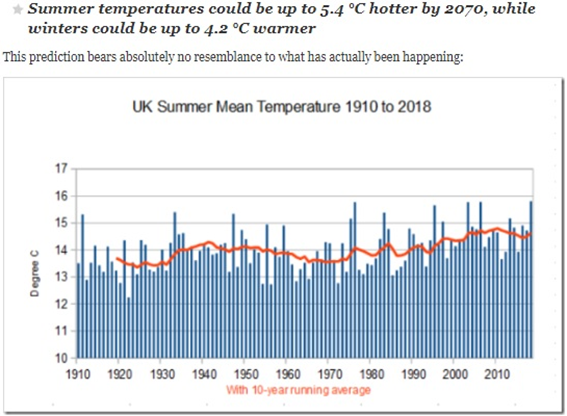 In their projections, they believed that summer temperatures could be up to 5.4 degrees Celsius hotter by 2070 and 8 degrees Celsius hotter by 2099. Moreover, sea level could rise 1 ½ meters by 2100. I think we should be paying more global tax to try to fix these problems. We could convince the ocean not to rise if we give it enough money! I bet the ocean will not rise for us, as humans, if we give more money to the sky and the atmosphere they won’t change either? 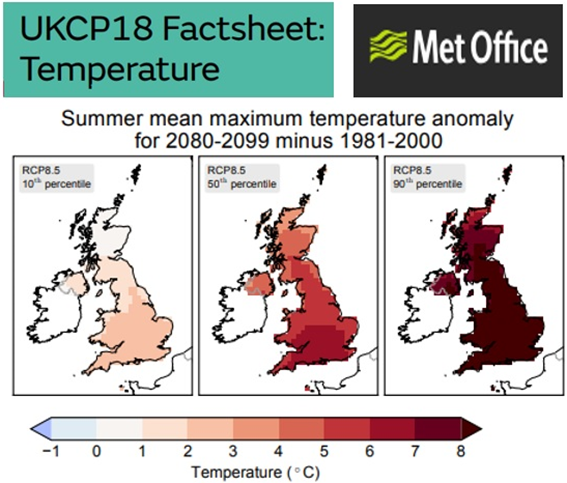 Summer mean temperatures: 8 degrees Celsius warmer in store! It’s on the right side and that is 80 years from now. 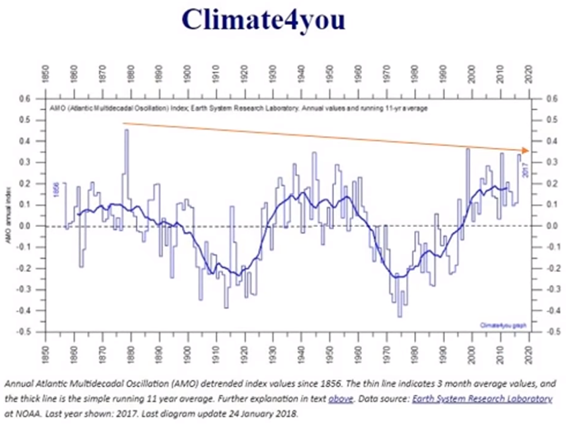 We’ve already gone through 20 years where we have supposedly had the most CO2 in the atmosphere, that was supposed to do the most damage, but we’re not anywhere close to that. I really, realistically don’t even know how they could put this on paper with a straight face. eight degrees Celsius within 80 years! 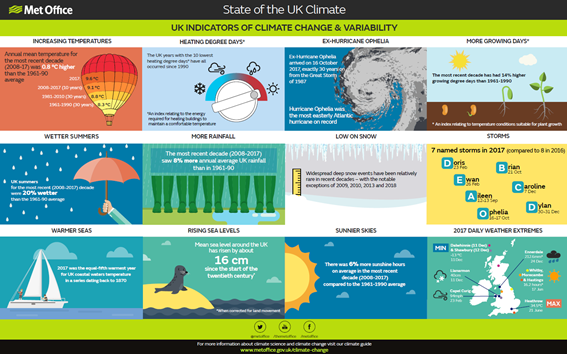 Moving on to their infographic here where they talk about increasing temperatures. 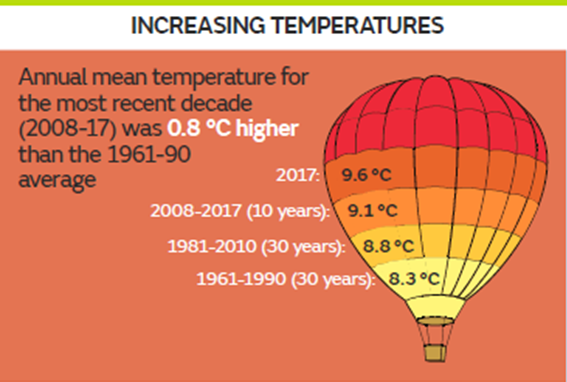 The annual mean temperature for the most recent decade was eight-tenths of a degree higher than in 1961 to 1990, on average. Wait a second, I have been brought up and told that it’s always the Satellite Era that’s the base average. The question is, why did they choose 1961 and 1990 as their base not 1979–2010? I circled that portion of the graph below blue so you could see why they chose these exact years. Notice that if you start using 1979 as the satellite record shows, you’re actually already up a couple tenths of a degree. They then choose the lowest point in the cooling to try to show the most heating by choosing the coolest temperature as the starting point where it was the coolest. By doing this, everything above is going to be plus, plus and plus in temperatures. 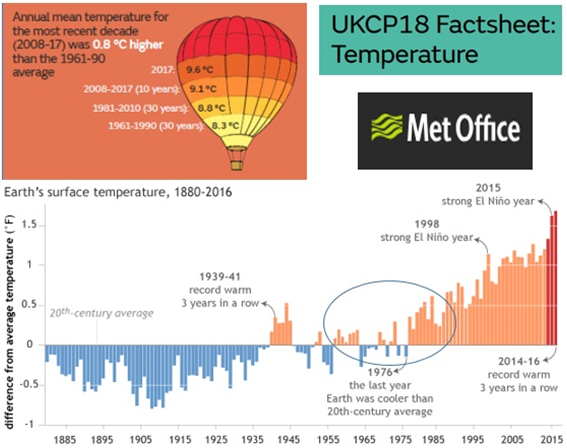 Looking at the actual UK mean temperatures from 1910 to 2018, do you see the massive rises they’re talking about? It looks like it was actually even warmer in 1975 and 1976 than it is now. What about the spikes back in 1910 and 1935 that are equivalent with today’s temperatures? 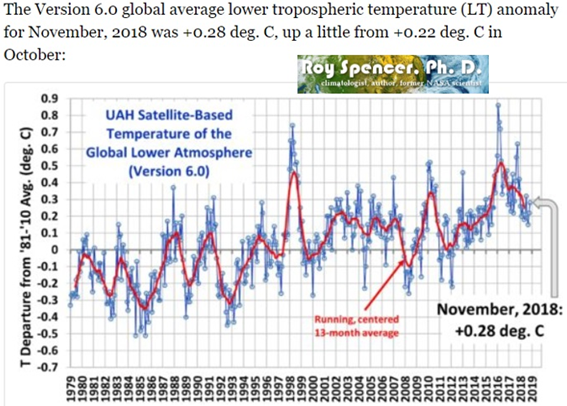 Meanwhile, Dr. Roy Spencer came out with the new November temperatures and we’re at 0.28 degrees C, not even three tenths of a degree C above the baseline since the Satellite Era began. They’re saying that temperature is going to run away by eight degrees Celsius in the next 80 years. We should really be asking these report makers, how did they come up to this conclusion. Science so far has not even shown anything that is remotely close. 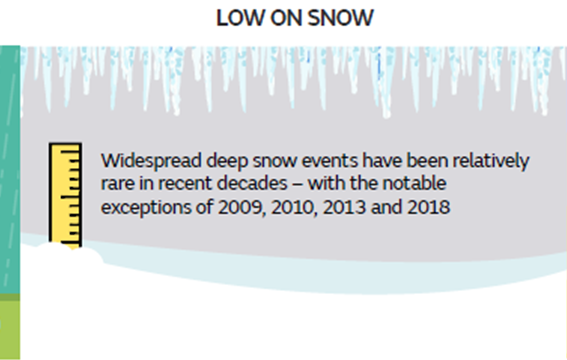 Low on Snow, widespread deep snow events have been relatively rare, except 2009, 2010, 2013 and 2018. When was the Grand Solar Minimum forecast to start kicking in? 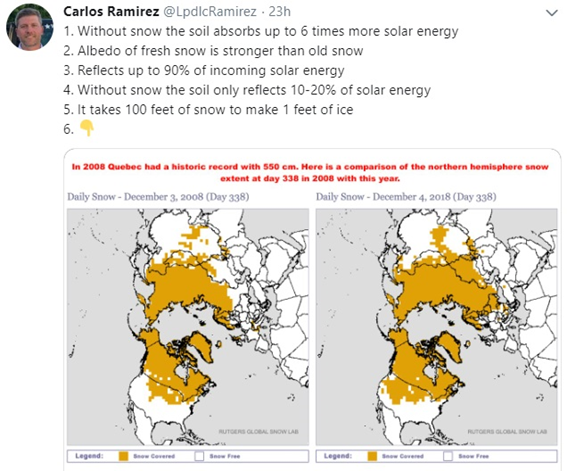 Similarly, Carlos Ramirez putting these comparative shots of snow cover December 3rd, 2008 and December 4th, 2018. You’re looking at a 10-year window here. 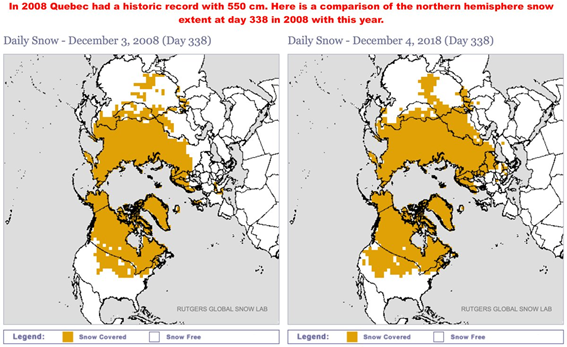 We can see where there is there more snow, it’s this year, 2018. They’ve been telling as that snow would be a thing in the past and our children will never know what snow is. And it does continue, each one of these infographics is actually pretty well done. 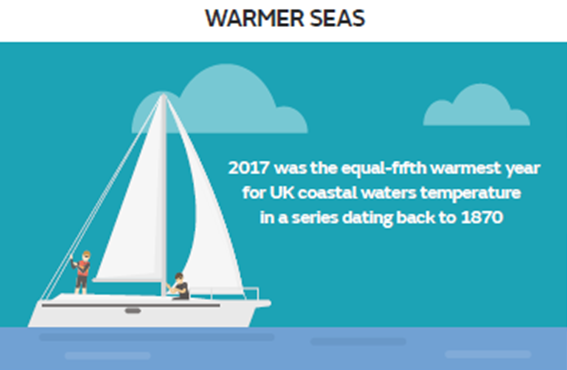 I’m going to focus on the Warmer Seas, 2017 was equal-fifth warmest year for UK coastal water temperatures dating back to 1870. I thought, I can find that chart because I have the AMO which is Atlantic Multidecadal Oscillation. That is a 60-year cycle, and here we are at the high again of the 60-year cycle, but they’re somehow trying to blame this natural cycle to human causes. I wonder what the agenda is behind this. To clarify, when they said 5th warmest, that trend line is even more down, so the last warmest in the 1880’s was even warmer than the 1990s. Now, it’s even lower than those two previous highs. 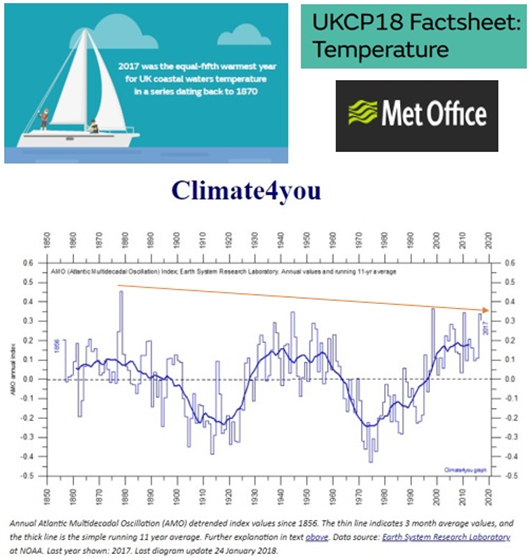 So I don’t know how they keep on saying that it’s getting warmer and warmer and apparently, we are causing these oceans to warm, when it’s actually cooling in the Atlantic at the moment. Article title, combining global warming and Ice Age in literally one sentence, I think covering themselves for all changes. 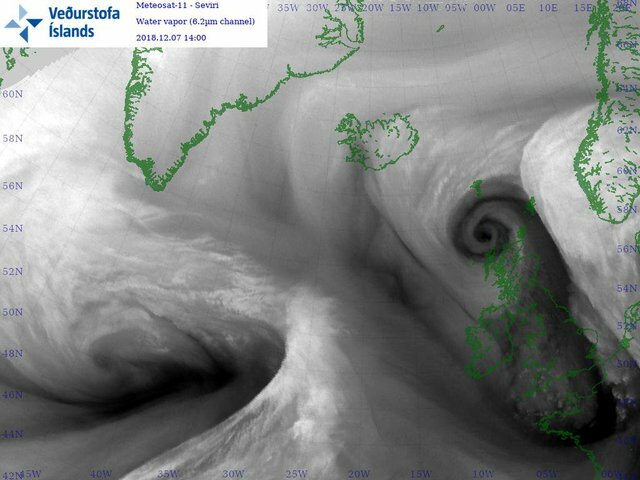 Britons could soon be shivering through a new Ice Age Thanks to Global Warming and the destruction of the ice-sheet in Greenland. 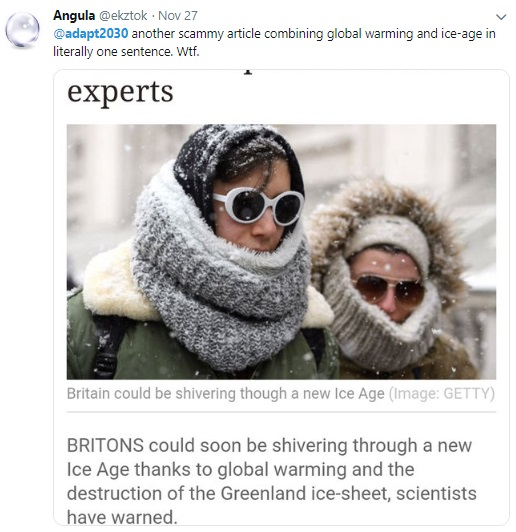 First of all, it is not an “Ice Age”, it’s a “Mini Ice Age”. They’ve actually put this thing out to make you think you’re conspiracy theorists by saying “Ice Age”. 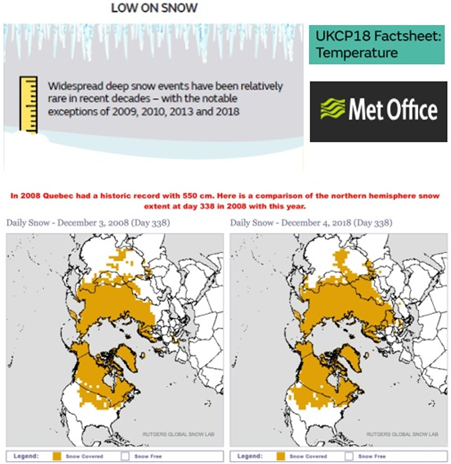 Anyway, these are the things that happen on the 100,000 year interval in full blown glaciation, not Global Cooling a Grand Solar Minimum and Mini Ice Age in a 400 year cycle, but not an Ice Age. 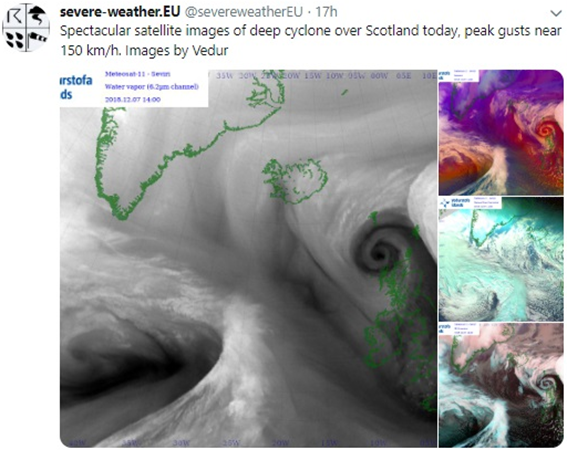 This will be the kind of writing that will be coming out, they’re going to try to confuse, deflect and label those talking about the grans solar minimum weather changes. They want you divided and they want you unfocused about coming together for solutions. Mainstream media outlets want you to argue and argue about all these talking points and lexicon that they fill out for you. Please understand what’s happening around you. Do some of your own research. Thanks for reading. I hope you got something out of the article. 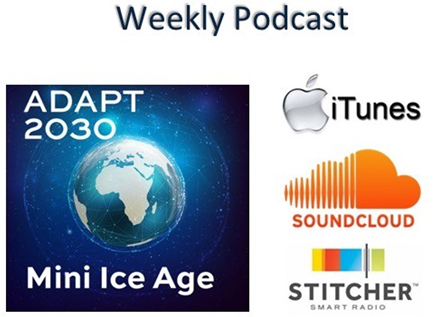 If you like this type of information, you can try the 30-minute Mini Ice Age Conversations podcast on the go. 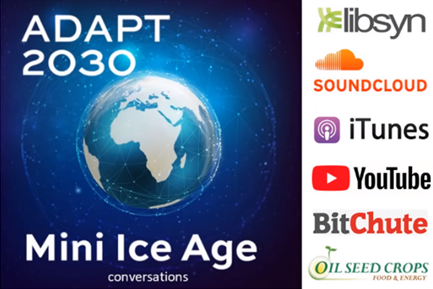 In-depth analysis as well as the Grand Solar Minimum climate updates. Please subscribe to oilseedcrops.org as well. 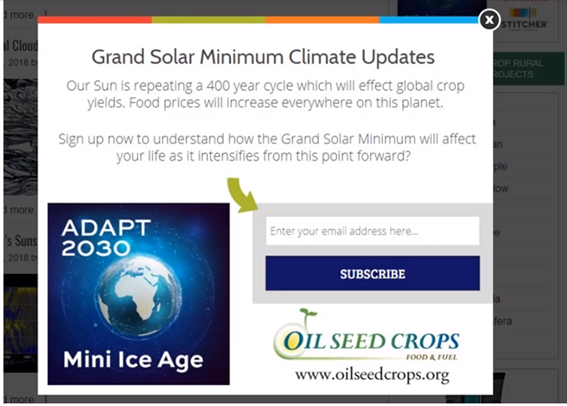 Just move your mouse around, wait for the pop-up box, enter your email and I’ll get you some information as we move forward in the Grand Solar Minimum, once every two weeks.